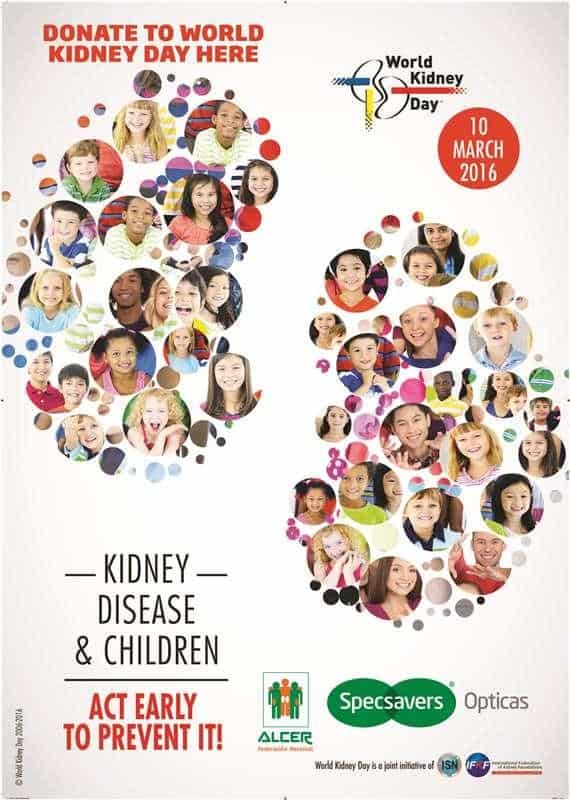 World Kidney Day takes place on 10th March 2016, which this year focusses on the important theme of Kidney Disease and Children – Act Early to Prevent It. All eight Specsavers Opticas stores in Spain have announced that they are getting behind this event and will be raising money and distributing information about the cause from 15th February until 15th March. The global optical brand have been inspired to support this important cause, after Martin Blake the Director of Specsavers Opticas in Mallorca came to the rescue of his brother-in-law and donated a kidney in March 2015. His brother-in-law was seriously ill, receiving dialysis at the hospital for seven hours, five times a week whilst he waited for a donor and became weaker. The waiting list for kidneys in the UK is over four years and the doctors didn’t think he had that long to live. Martin bravely put himself forward as a donor and since the transplant his brother-in-law is responding very well. Throughout 2015 Martin and his team have been raising money for Kidney Research and to date have collected 1,300€ for this worthy cause. All the other stores were so impressed by his sacrifice and commitment, that they have also got behind Kidney Research and will all be raising money for the Spanish kidney research charity ALCER in the run up to World Kidney Day.